Former Trump Plaza In Atlantic City May See New Owners Soon! After three consecutive years of economic growth in Atlantic City, the cost of real estate along the Boardwalk has dramatically grown. Not to mention, so has the eyesore of Trump Plaza. As of now, it’s stood empty for almost five years, and people are ready to see new life on the beachfront property. According to past reports, Carl Icahn had legal matters that he had to clear up first in order to proceed with selling the former hotel. Now it looks like the issue is resolved and continuing to sell the Plaza can move forward. It’s no secret, everybody knows about the holdup situation with Mr. Icahn and his dusty Trump Plaza Hotel. Furthermore, everybody wants to see new life there again. Even though this would increase competition, it may be worth it! After all, new occupants would bring new faces to the Boardwalk, and that’s good for everybody, including business. Speaking of business, county records show Icahn took care of his own by paying $3 Million to Plaza Hotel Management Company. As a result, Icahn gained control of the property deed. Also, this payment nullified the annual $1 Million land-lease agreement that didn’t expire until 2078. Now that the contract has been terminated, former Trump Plaza can finally be sold. After several years, Icahn is finally moving on and eager to sell. In fact, last year he sold Tropicana for $1.85 Billion and Trump Taj Mahal to Hard Rock for $50 Million. So as you can see, Icahn is on a roll, and the Plaza is the last casino property in his portfolio. However, Icahn wants to demolish the hotel because he believes the three-acre, beachfront property is worth more without it. Unfortunately, he wants tax dollars collected by the CRDA to pay for the $13.5 Million project. The proposal hasn’t officially been denied, but Senator Stephen Sweeney strongly opposes. 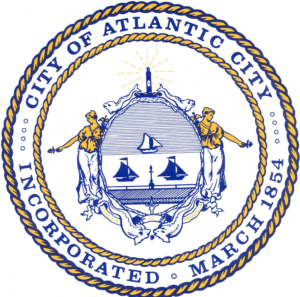 Either way, Icahn is ready to move on and so is Atlantic City. Therefore, it’s expected change is near. On that note, stay tuned because this is going to get exciting.